Anderson Point's outdoor amphitheater is a wonderful location for wedding ceremonies. The amphitheater is situated along the park trail and sits next to a large open field. It is not far from the parking lot and is handicap accessible. 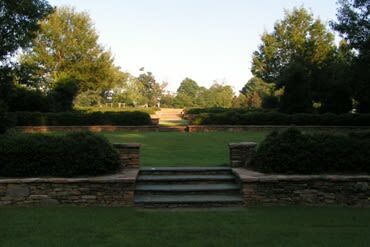 Each level of the terraced lawn is separated by beautiful stone borders accented with evergreen boxwoods.